Whatever event you are planning large or small our events team can help. Do you need 50 To 50,000 People Served Quickly ? Flexible Catering Menu Options ? 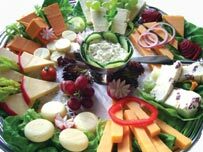 All of the catering options below are designed to give you maximum choice when planning your event and you will be able to create the perfect event catering menu to meet your needs. The choices below are examples but you can change or mix and match every option. If you require any help please give our events team a call on 0191 3863682 to speak with one of our experianced event planning staff. Below is our corporate barbecue menu 2 it comes complete with everything provided as a full package for your event. Outstanding value for money 100 guests served for only £10.60 per head + VAT !!! The hog roast catering service is a very popular event catering option, we are the biggest hog roast catering company in the North of England. We have a hog roast catering website. Please view our corporate hog roast page for more information and prices. 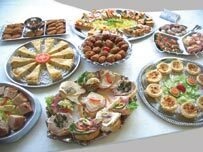 As you can see from the information above we offer a wide range of event catering options. Another option is to combine any of the above services to create your perfect event catering menu and because it's custom made to your requirements, the catering would be totally unique. Over the years we have provided our event catering services to many of the North Easts top venues but finding the prefect venue for your event can take time and not all venues allow outside caterers, we have put together a North East venues page to give you a few options. Our food stations are ideal for outdoor event catering and we are now pleased to offer 14 food station options. Food stations are all different. 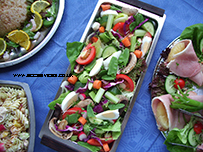 They offer a competley new form of event catering that will impress all your guests. For more information about event catering food stations please view our food station website. 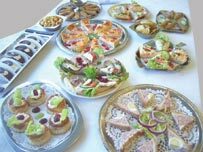 Buffets are a good option for simplicity if you want a no fuss, easy to arrange catering package for your event then choosing a buffet is your best option. Below are our suggested event catering buffet options. 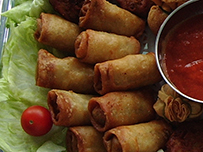 We offer six finger buffet menus. Please view our finger buffet page for all of the menu options. 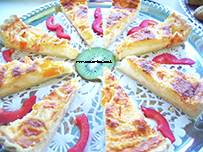 you can choose multiple finger buffet menus to increase the choice of food available. 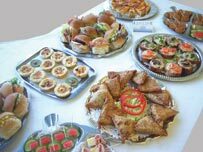 Our finger buffets come complete and include: disposable plates/napkins/table covers/delivery and set up. If you are holding a more formal event we also offer china crockery/linen napkins and table covers. Our fork buffet is perfect for all kinds of catering events. Please take a look at our fork buffet page to see the menu. 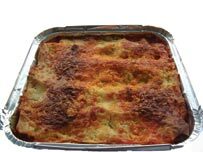 Our fork buffet is provided with: disposable plates/napkins/forks/tables covers/delivery and set up. For formal events we would recommend adding china crockery/linen napkins/cutlery and linen table covers if you require this to be added to your order simply let us know when booking. We offer nine hot buffet options. 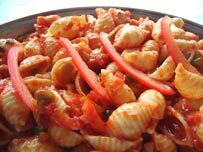 Please take a look at our Hot buffet page to see the full menu. 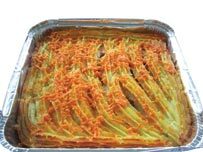 Choose one of the hot buffet main meals and a side dish or if you are catering for larger numbers you can select more than one dish see example. For more formal events we would suggest adding service staff, heating equipment, china plates, cutlery, linen napkins or linen table covers. Please let us know If you require any of these items when ordering. There are 20 different food platters to choose from. Please take a look at our food platter page for all the options. 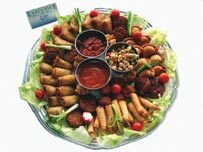 Our food platters can be added to buffets to make fantastic centre pieces or for smaller events you could select just the food platters on their own. You can combine any of the buffet menus and food platters to create your own custom menu. Combinations of our buffet menus are ideal for event catering, you can combine any of our buffet menus to make your own bespoke menu. 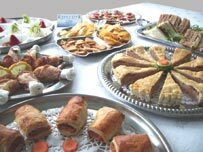 As all of our buffets come complete with everything you need the combination menus are the same and would include:: disposable plates/napkins/knives/forks/tables covers/delivery and set up, If you need formal equipment please let us know when ordering. Below is our corporate hog roast menu 3. It uncludes everything you will require in one package for your event. Outstanding value for money 100 guests served for only £7.80 per head + VAT !!! 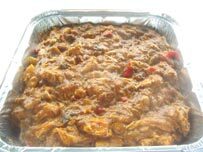 Our corporate event barbecue catering service is perfect for large and small events we can serve hundreds of people very quickly if required or if time is not an issue we can also provide a more casual service lasting all day the choice is yours. We have designed a website for our barbecue catering service. Please take a look at our Corporate barbecue page for information and menus. We offer 14 different food stations each food station is unique the food stations can be set up on any flat surface the food stations are designed to feed large groups of people quickly, give us a call to discuss your event and the food stations options. Related event catering articles and case study's written to assist and inspire you when planning your event.